64-year-old Xi’s second term was endorsed by the party at the end of its week-long once-in-a-five-year Congress. China’s ruling Communist Party on Tuesday endorsed a second five-year term for President Xi Jinping and appointed a new set of leaders backed by him. The conference attended by over 2,350 delegates ended at the Great Hall of the People, the seat of power of China’s Communist leadership. Xi along with Premier Li Keqiang, 62, ranked number one and two in the Communist Party of China’s hierarchy, would continue based on two five year tenure convention for top leaders. Five new members will be elected to the seven member Standing Committee of the party which rules the country. Xi and Li took over power in 2012 and set to continue till 2022. The new Standing Committee would be unveiled for China and the world tomorrow when they would formally appear in front of the media during a live telecast. Reports in the Hong Kong media said that Xi may not have his way at the Congress as his closest aide Wang Qishan, who led the massive anti-corruption campaign in which Xi’s opponents were allegedly crushed, is likely to step down from the powerful Standing Committee belying speculation that he would be retained by overriding the 68-year retirement rule. Also the Congress may keep the number of the Standing Committee members to seven, contrary to reported preference of Xi to reduce its number to five. The new seven-member committee may retain balance of power among various factions within the party though Xi may still remain powerful with the induction of some of his close associates into the Standing Committee, the reports said. Xi, regarded as the most powerful Chinese leader in recent times heading the party, presidency and the military too is expected to retire by 2022 after his second term. But speculation is rife that he would break that retirement age convention and may continue for a third term considering his powerful stature in the party, equalling that of the party founder Mao Zedong and his successor Deng Xiaoping. Xi also is set to have his own ideological thought enshrined in the CPC Constitution, elevating him to the same political league as Mao and Deng. Former Chinese leaders Hu Jintao and Jiang Zemin also had their own ideologies incorporated in the Constitution. But unlike Mao and Deng their names were not included. As China enters a new era, the CPC must write a new chapter of 21st century Marxism with a broader vision to achieve the goals set at the milestone Congress, Chen Shuguang, a professor with the Party School of the CPC Central Committee told state-run Xinhua news agency. Liu attributed the CPC’s success in maintaining vitality and creativity to the ability to advance with the times, saying it is the “magic code” for the CPC to lead China toward becoming a great modern country. The 19th Congress of the CPC which ended today will make great contribution to the world thanks to the concepts mentioned in a key report to the congress, Xinhua quoted analysts as saying. 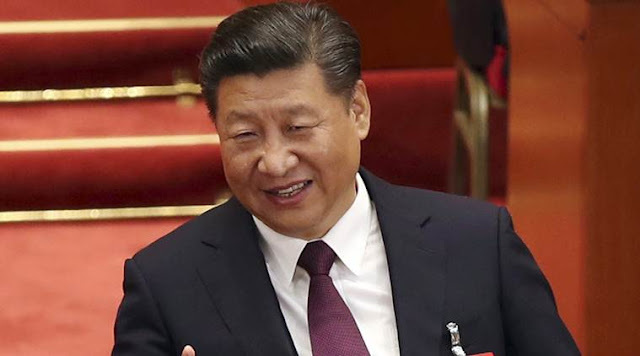 China’s ruling Communist Party on Tuesday endorsed a second five-year term for President Xi Jinping and appointed a new set of leaders backed by him. 64-year-old Xi’s second term was endorsed by the party at the end of its week-long once-in-a-five-year Congress. The conference attended by over 2,350 delegates ended at the Great Hall of the People, the seat of power of China’s Communist leadership.